Ava Keyes has a Bachelor of Arts in Sociology. 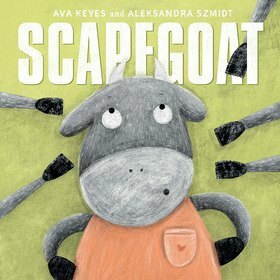 Her debut picture book, ‘Scapegoat’, aims to provide a valuable resource for children experiencing a specific kind of family bullying – family scapegoating. Ava is thrilled to have partnered with Little Steps Publishing in this important journey of self-discovery and hopes that this book will empower children and their families with hope, courage and positive communication.